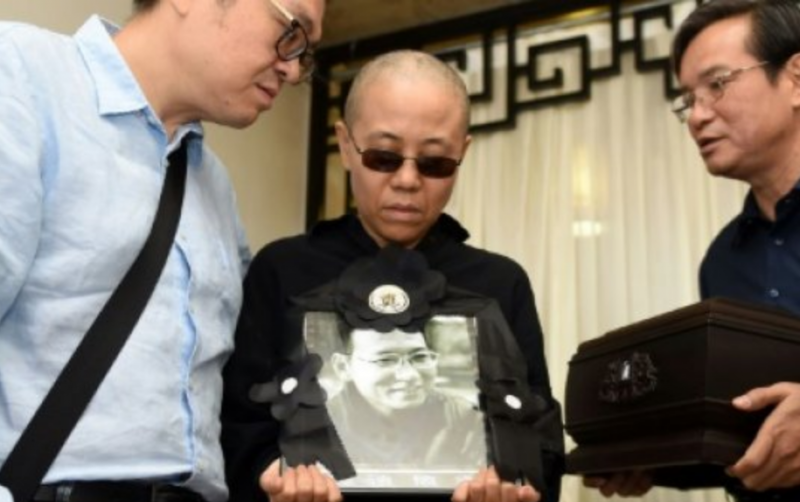 NEW YORK (AFP) – The widow of Nobel Prize-winning dissident Liu Xiaobo on Wednesday made her first public appearance since leaving China more than two months ago, discreetly attending a panel discussion in New York. To applause the poet Liu Xia arrived at the premises of Manhattan’s Vaclav Havel Library Foundation in jeans and sneakers to accept the 2018 Award for a Courageous Writer at Risk. She had arrived in Germany in July after being released from years of de facto house arrest in China. Despite facing no charges, she had endured heavy restrictions on her movements since 2010, when her husband won the Nobel Peace Prize — an award that infuriated Beijing. “I just want to use the opportunity to thank the Vaclav Havel foundation for inviting me and thanking his supporters for working so hard,” Liu said through an interpreter. She gave no details of her journey, which followed brief stays in Prague and the Netherlands. A spokeswoman for the foundation, Jacquelyn de Villiers, said the trip slated to go through October 5 was confirmed last minute, citing visa reasons.